I see that the Balliro posts that I’ve done have continued to garner some interest on this blog, so I’ve tracked down some more relevant info regarding the late Mr. Balliro. I will upload the order to show cause that led to his disbarment and the order of disbarment, and you can download them on the links below. These occurred several months before the arrest that precipitated his suicide in the Lee County Jail. I know this is not breaking news anymore, but since I was on the road, this is the first I’ve been able to post that Mr. Balliro passed away after being found unresponsive in his jail cell. A sad ending to a sad situation. 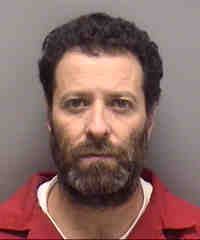 Former Fort Myers and South Florida attorney Sebastian Balliro has been transported to the Lee County Jail, according to www.sherifflee.org. In a bit of a scoop for my new blog, we appear to be the first that’s reporting his transfer. He had already been arrested on the Fort Myers charges, and bringing him to Lee County was necessary to give him a first appearance, set bond, and get the wheels in motion on his case. He’s charged in Lee County with 3 Schemes to Defraud, 4 First Degree Grand Thefts, 2 counts of ID Theft, and a simple Grand Theft. All charges are felonies, and all but the grand theft are 1st degree felonies, due to the amount alleged to have been taken. He’s facing up to 30 years on each of the 1st degree felonies, and another 5 on the grand theft, if convicted separately. However, the schemes may encompass the grand theft charges. Bond is $30K each on the 1st degrees, plus 1,500 for the third according to LCSO, for $271,500 total, by my rough math. Arraignment is set for July 2, though we already know what charges the state has picked up. He has a case management date set for the end of July in Naples on his Collier County case. The transport order specifies that he is to be here for 1st appearance and arraignment, so Collier may come collect him before his next court date there. I’ll be trying to keep track of it all, here.